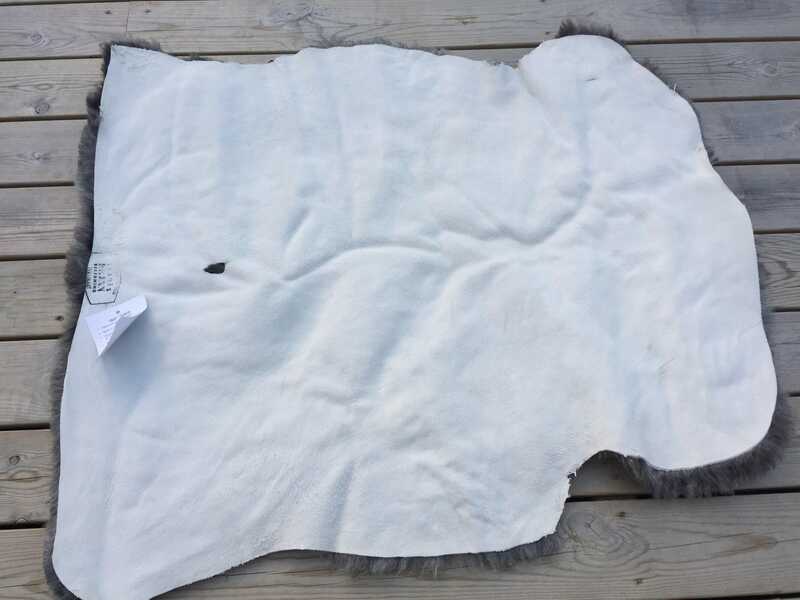 This is a sheepskin from the old Gute breed of Gotland island in Sweden. The wool is soft, the skin is soft and flexible and the colors are added by nature itself. The hide has been tanned to perfection through the world class quality tanning process of Swedish tanners. 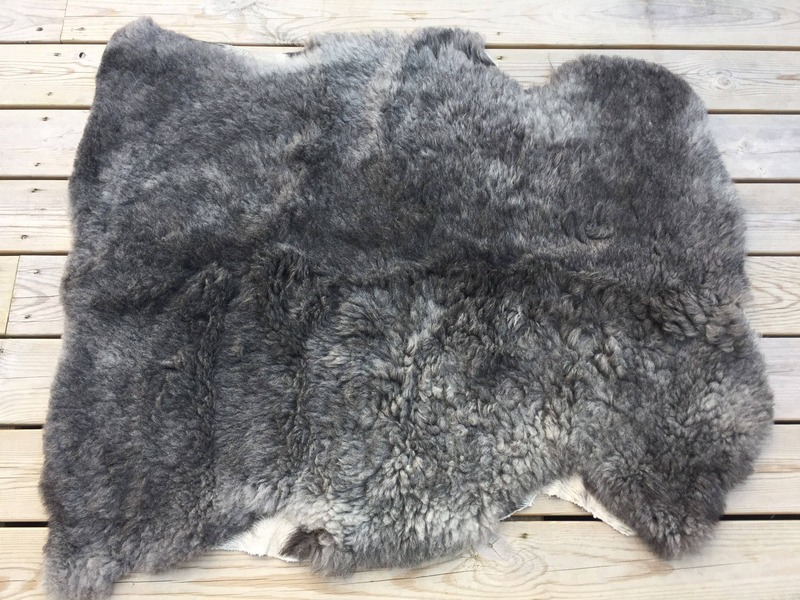 The hide is soft and flexible, and the wool is soft and clean, and rich in natural color. This sheepskin can even be washed if you follow the tanner's instructions. I ship internationally. Norwegian customers are adviced to shop at Pergarden.com due to added VAT on domestic orders. This skin has the measurements of appr. 77 cm x 65 cm. The hide has a small hole on the middle. Price reduced by USD 10 because of this.